The retina is the part of the eye that is light sensitive and sends messages that travel through the optic nerve and into the brain. Certain retinal conditions, such as such as retinal detachment, can lead to permanent vision loss if left untreated. At Retina Associates in Kansas City, MO, our doctors specialize in retinal detachment treatment to prevent permanent vision loss. What Is Retinal Detachment and Who Is at Risk? Rhegmatogenous: This type of detachment occurs when a tear in the retina allows fluid to collect underneath, causing it to separate from the RPE, or the retinal pigment epithelium, which provides nourishment to the retina. 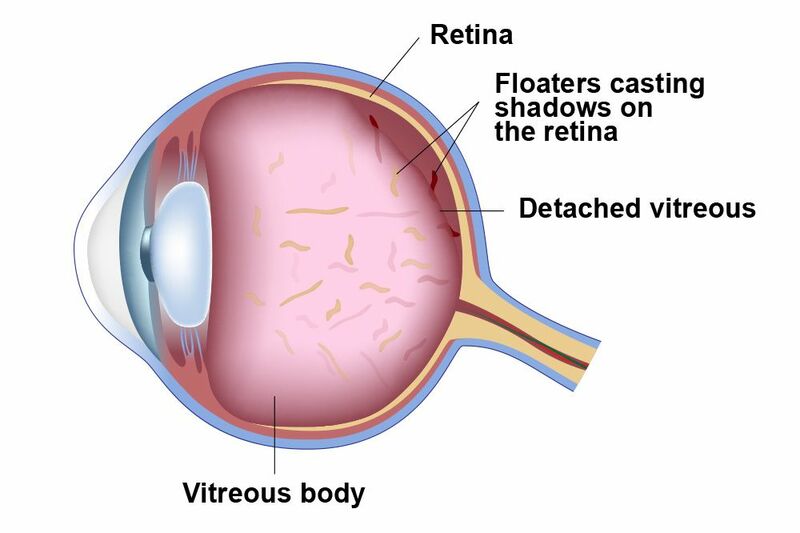 This form of retinal detachment is the most common. Tractional: Infrequently, when scar tissue on the retinal surface contracts, it can cause the retina to detach from the RPE. Exudative: Injury or trauma, other retinal conditions, and inflammatory disorders can all lead to the accumulation of fluid beneath the retina, despite a lack of tears or breaks. When the retina detaches, you may notice gradual changes to your vision, or they may happen suddenly. The most common symptoms include floaters or specks in the field of vision, flashes of light, and a shadowing over the field of vision. With prompt treatment, we can effectively prevent permanent vision loss by reattaching the retina. It is important to get regular eye exams, as we may be able to detect small tears in the retina before detachment occurs. Patients should seek prompt treatment if they notice any changes in vision. Scleral Buckling: By attaching a small, synthetic band to the outside, scleral layer of the eye, we can push it against the retina. Vitrectomy: A vitrectomy may be used in conjunction with scleral buckling. During this procedure, we create a small incision in the sclera to suction out the vitreous, or the fluid that helps the eye maintain its shape. We replace the vitreous with air or gas, and reattach the retina. As you heal, the gas is absorbed and the vitreal fluid will return. Pneumatic Retinopexy: During this procedure, we inject an air bubble to stop fluid from filling beneath the retina. The retina will reattach and the air bubble will be absorbed. If you notice any changes in your vision, contact Retina Associates right away to schedule an appointment.